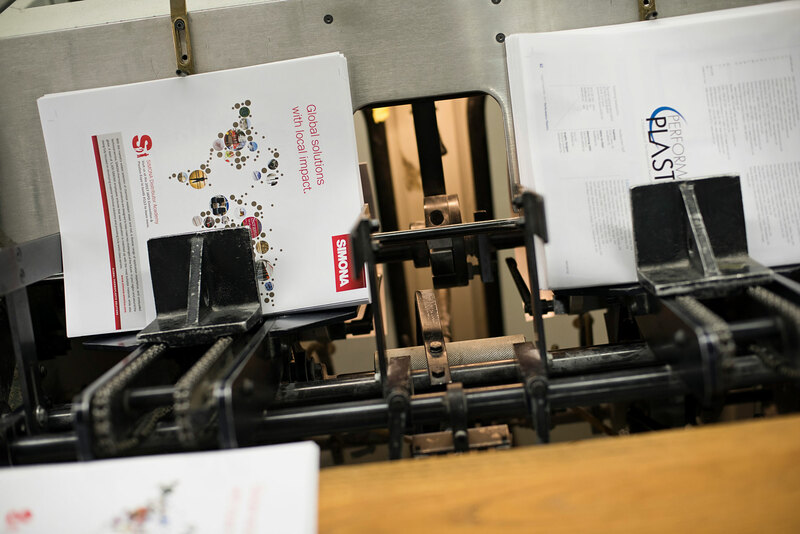 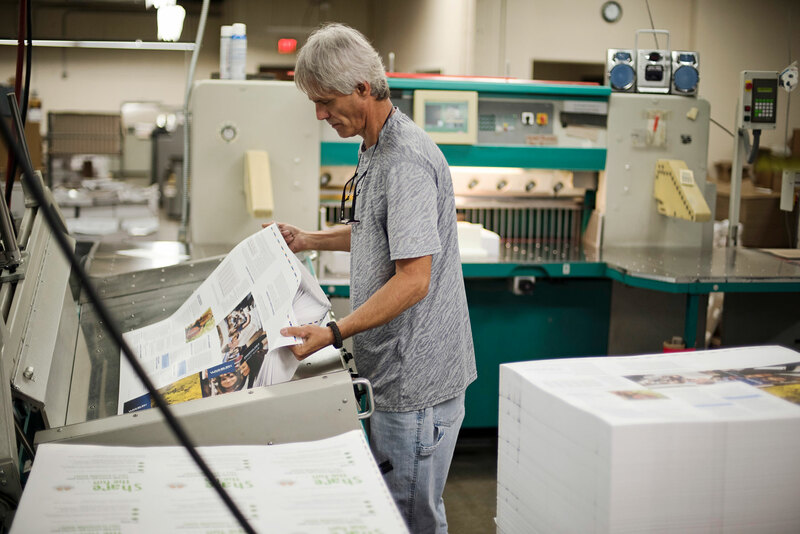 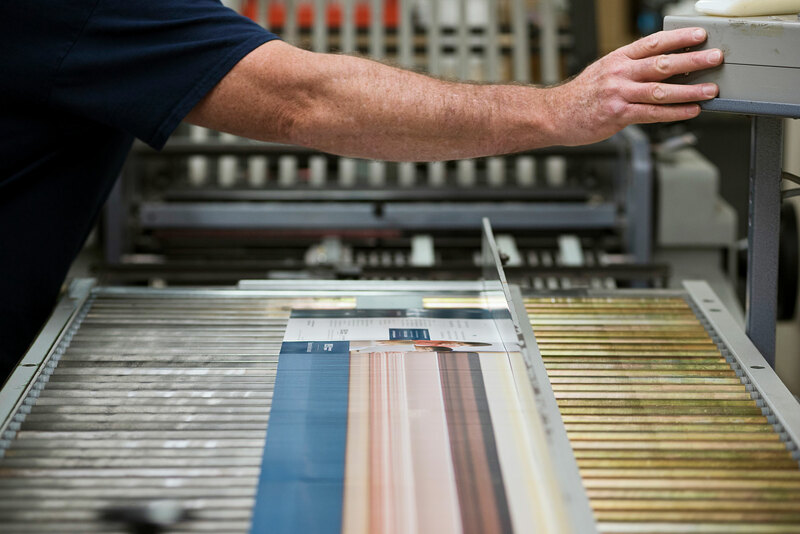 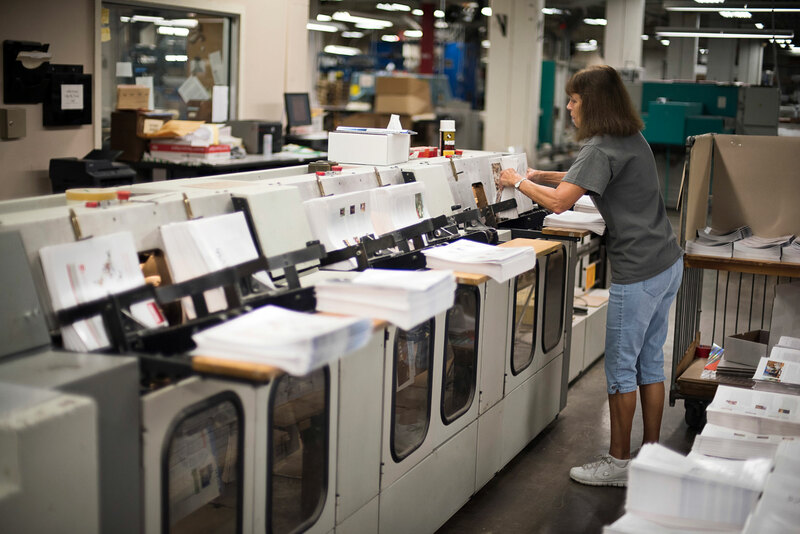 A first-rate product demands a great finish, and our full-service bindery department ensures that your project is completed with the same care and attention to detail it received in pre-press and press. 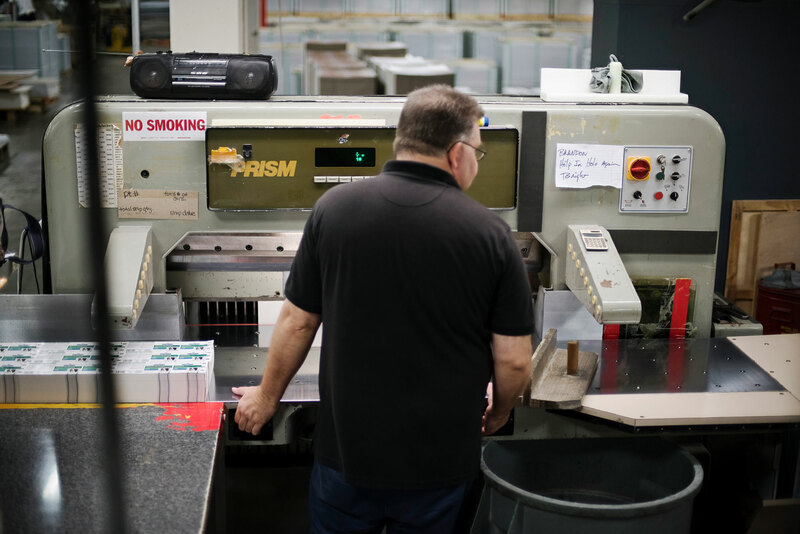 We can process almost everything we print in-house, from cutting and folding to wrapping and shipping. 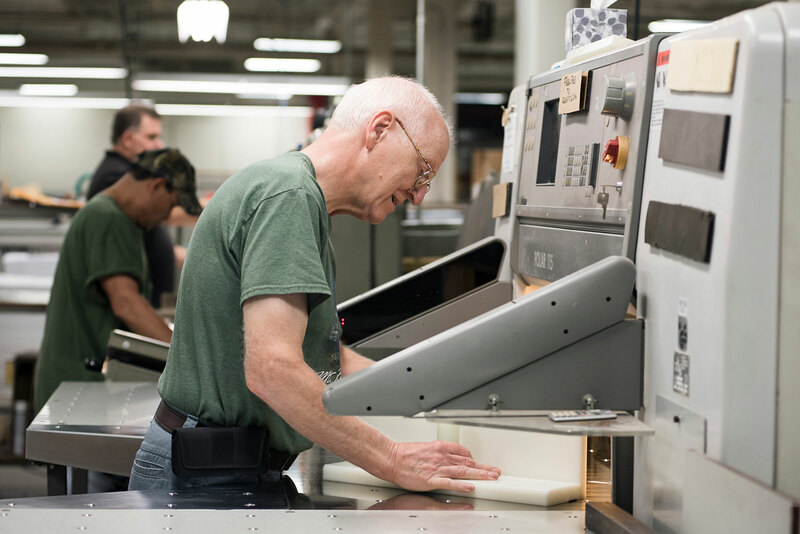 Our lineup of collators, binders, guillotine cutters, die cutters, and folders handles jobs from small to large. 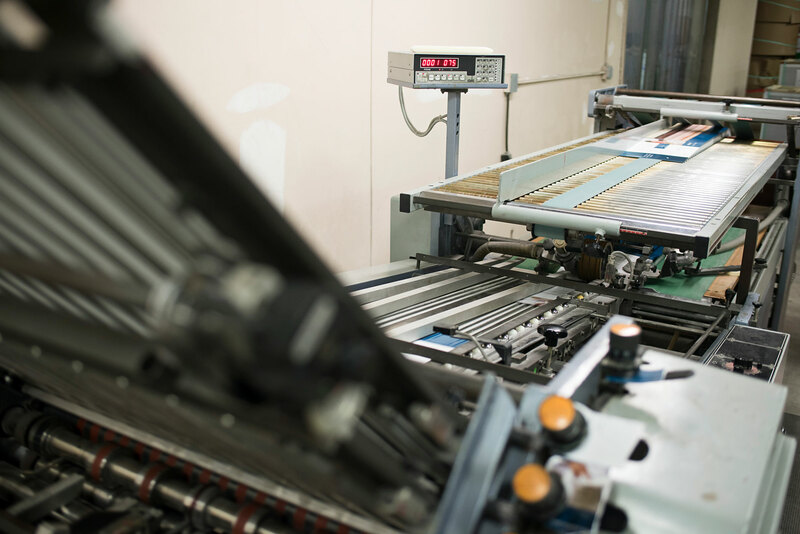 This department also includes drilling, string tying, GBC plastic binding, shrink wrapping, round cornering, and stitching.